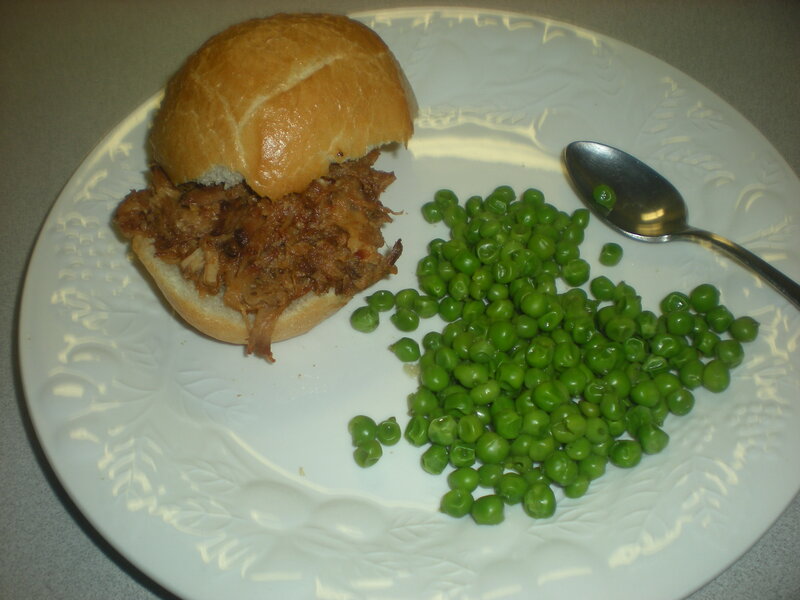 When I read a few months ago in Martha Stewart’s cooking magazine [which I adore, if you don’t subscribe to it, you need to] a recipe for pulled pork sandwiches, I knew I wanted to make them. I have never even so much as eaten a pulled pork sandwich in my life, let alone cook one, so why I suddenly desired to do so, I have no idea. In any case, when I made plans to have my friend Grace over for dinner while she was home for Christmas, I decided that she would be my test-taster for this dish. She was born in the south and also lived in the south for 2 years during college, so I figured she would be a good taste-tester. However, when I went online to look at Martha Stewart’s recipes, I was saddened to find that it got less-than-stellar reviews. So I turned to my fellow cooking friends and stumbled across this recipe [which I adapted to my own liking and a few other recipes I found]. It was absolutely perfect, and so very easy! 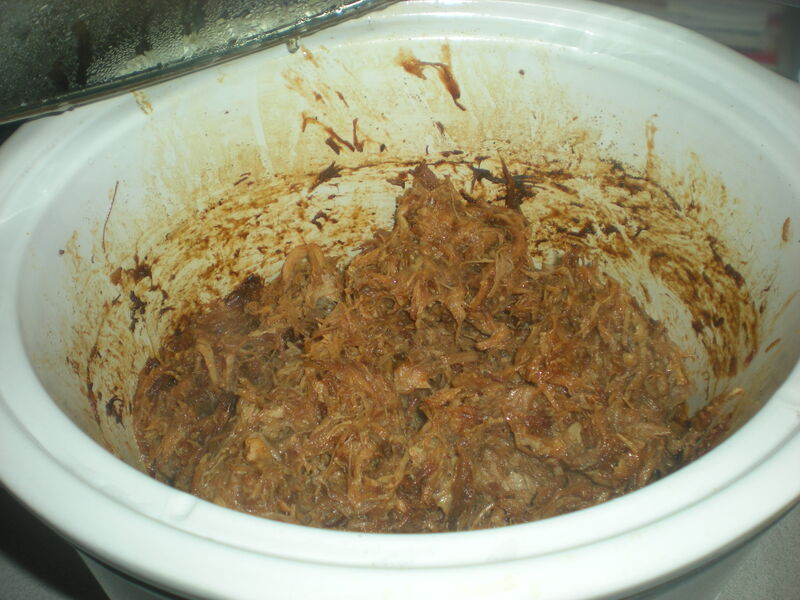 -Put pork something in the slow cooker and pour the can of root beer over the top. Cover and cook on low for 7+ hours. Drain. Shred pork between forks and pour in barbecue sauce. Slow cook on low for another hour. Now when I did this, I slow cooked it for 9-10hrs, because that’s how long I’m gone during the day [commute + work], and when I got home, I opened the door to the 3rd floor hallway and was immediately bombarded by the smell of cooking pork [sorry neighbours!]. When I went to shred it, it shredded soooo easily, I was actually a little surprised, as I’ve only made soups/stews/chilis in my crockpot before. By the time Grace arrived, I’d toasted the buns in the oven and whipped up a batch of peas for a side dish. The best part: it made about 5 days worth of leftovers!